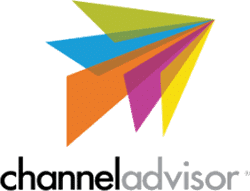 Multichannel ecommerce solution ChannelAdvisor Marketplaces has announced an expanded strategic alliance to support Google Shopping Actions. Announced this March, Shopping Actions provides customers an easy way to shop for products across Google platforms, including Google.com and the Google Assistant. Whether they're on mobile, desktop or using a Google Home device, customers have access to a shareable list, universal shopping cart and instant checkout – allowing them to seamlessly turn browsing into buying. "Consumers today expect frictionless, seamless, personalized shopping experiences everywhere they shop – online, on the go, and increasingly with digital assistants like Google Home. In fact, 44% of consumers who use voice-activated speakers say they use it to order groceries and household items at least once a week. Shopping Actions helps retailers deliver a seamless and personalized end-to-end shopping experience by making it simpler for users to buy products across Google's surfaces at the exact moment of shopping inspiration. We want to make it as easy as possible for all retailers to join the program and are excited to be working with ChannelAdvisor to make this a reality," says Daniel Alegre, President Retail, Shopping and Payments. With the addition of Shopping Actions support to ChannelAdvisor's suite of Google retail solutions, brands and retailers can now leverage the power of the ChannelAdvisor platform to list, manage, promote, and sell their products across Google's platforms. "We're thrilled to expand our strategic alliance with Google as they introduce their Shopping Actions program," says Paul Colucci, Vice President, Global Business Development, ChannelAdvisor. "ChannelAdvisor's integration with Google Shopping Actions is the next evolution in the e-commerce industry. E-commerce sellers of all types and sizes can benefit from Shopping Actions as a sales channel, and we're excited to get our clients up and running on it."